The use of Plain Clay tiles for vertical tile hanging is well established. 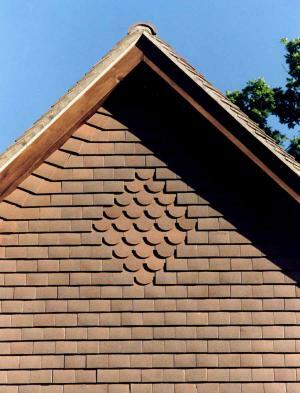 Very often vertical tiling will be carried out in a contrasting colour to the roof. We can provide recommendations and drawing details of tiling features likely to be encountered. Contact us for further information.